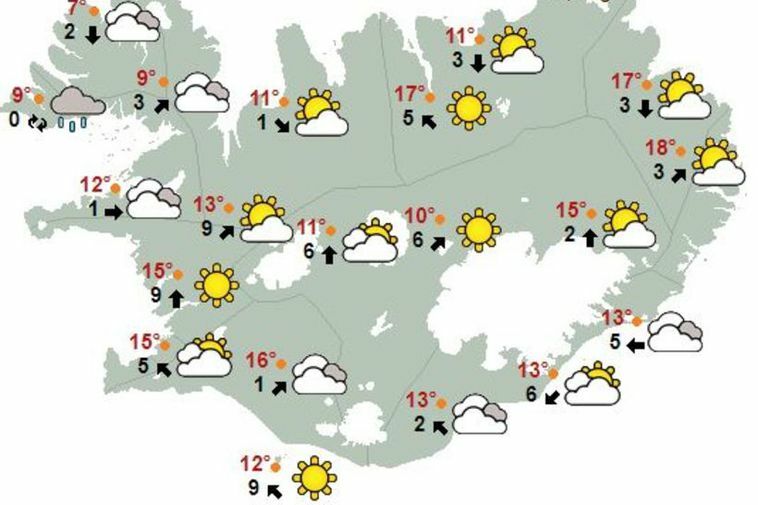 The outlook is for a warm weekend in Iceland, with today’s highs ranging from 12 to 17 degrees C (54-63 degrees F) in most parts of the country, and up to 22 degrees C (72 degrees F) in the east. There will be slight rain in the west, but clearing up in the afternoon. Sunny skies and dry in the northeast, with southeasterly winds of 3-10 m/sec. Tomorrow, winds will be turning northeasterly, with rain in the southeast, but dry in the northwest into tomorrow evening. There will be considerable rain in the south tomorrow afternoon, but clearing up in the northeast. Tomorrow’s highs will be between 12 and 20 degrees C (54-68 degrees F), warmest in the north. For Sunday, the forecast calls for easterly winds of 8-15 m/sec, with occasional rain. Highs from 10 to 22 degrees C (50-72 degrees F), warmest in the southwest. 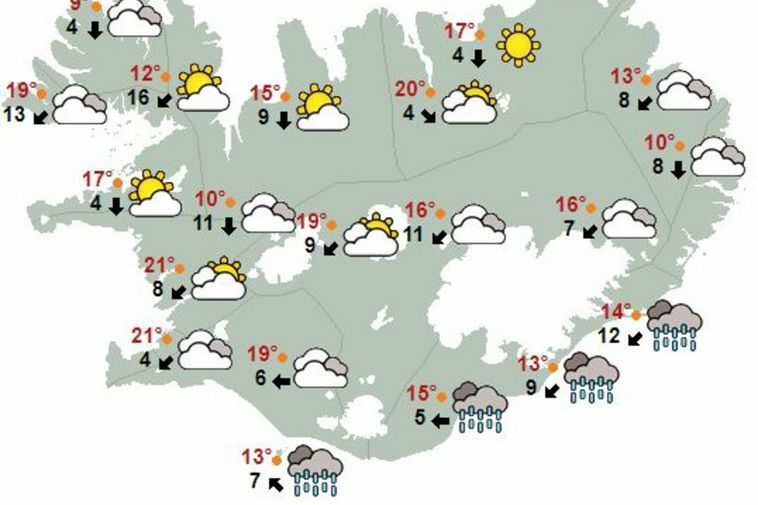 You can follow the latest weather forecast at en.vedur.is.